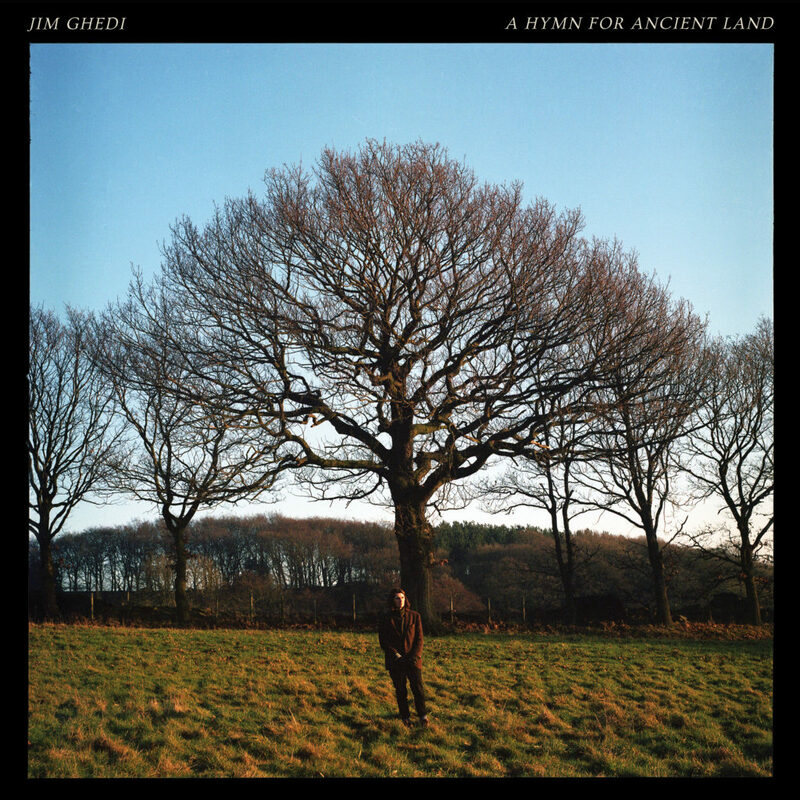 Born in Sheffield before moving around various parts of Derbyshire, Shropshire and Scotland and then settling in Moss Valley – an abandoned and forgotten area on the edgelands of South Yorkshire and North East Derbyshire – it makes perfect sense that 26 year old Jim Ghedi’s music feels both fluidly transient yet also deeply rooted to a sense of place. Ghedi’s natural ear and eye for capturing the spaces he inhabits creates an immersive environment in which the guitar lines seem to mirror rolling hills, the rich hum of the ambience hangs like a gentle morning fog and the intricacies and beauty of the arrangements create something almost tangible – like a light dew on the tip ends of grass or the sticky moisture of well trampled soil. Nature permeates through ‘A Hymn For Ancient Land’ from start to finish, gliding through its core like a bubbling brook. The wealth of instruments (guitar, double bass, violin, cello, harp, trumpet, piano, accordion and numerous others) float in and out of one another, interlocking absorbing guitars, gently whirring strings and drums that beat like the faint sounds of thunder on the horizon. Vinyl is 180g heavyweight. Digital download included. Inner Picture Sleeve with Jim’s ‘Field Notes’.